I can not even express my love hate relationship with this question. How do you even answer this question? Here is what my heart says, I have 5 children. I have one child I gave up for adoption, I have 3 children home with me and I have 1 angel baby up in heaven that left me before I got to know her. Here is what society says, I have 4 children. My miscarriage, well no one wants to talk about that or acknowledge that. Society thinks that to be a mother you must have a ‘real live’ child. Society likes to think that my child that I miscarried some how doesn’t count. Society clearly doesn’t know what is in my heart. 4, I have 4 kids. But wait, society has something to say again about that, I gave up my oldest son for adoption. Now I am down to 3 kids, because those are the only kids living in my house. So 3, I have 3 kids in my house that I mother every day, all day and most of the night because sleep is a rare thing here. I have 5 children in my heart, 1 gone forever, of the other 4 children, 1 child is living in Europe with his family, but only 3 of those kids live with me and drive me crazy every day. 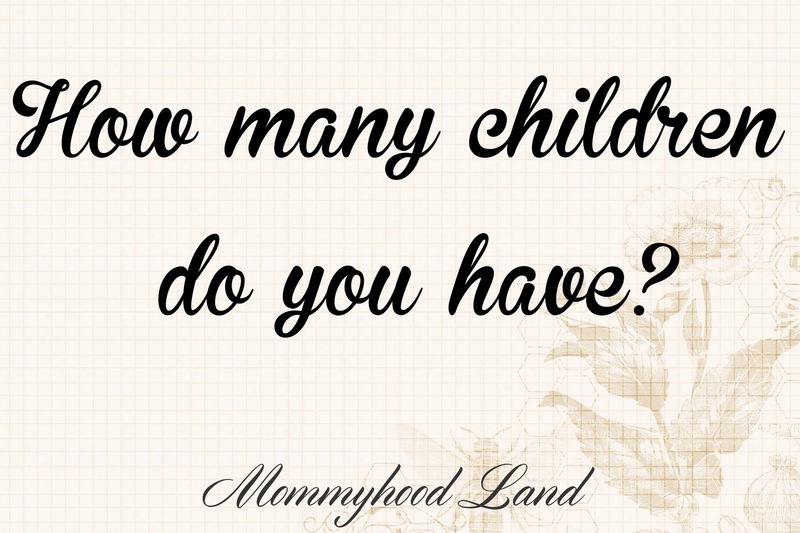 So how many children do I have??? To answer the question, I have 5 children, but I get to mother 3. 5 Children, Mom to 3.